With the latest development, Smartworks is claiming to be "largest managed workspace provider" in the country, with over a million sq ft space and 16,000 seats, spread over nine Indian cities. Co-working space Smartworks, has now introduced a new facility in Hyderabad, the company announced on Wednesday. With the latest development, Smartworks is claiming to be "largest managed workspace provider" in the country, with over a million sq ft space and 16,000 seats, spread over nine Indian cities. The Hyderabad facility is spread across 86,000 sq. ft and has a capacity of 1700 seats. 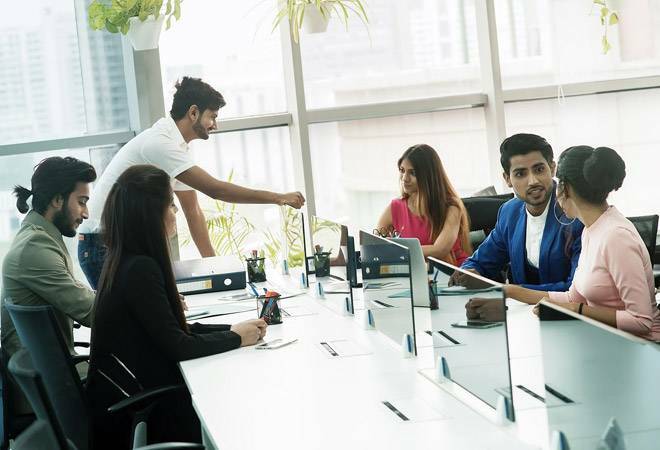 "We are focused on enterprises, as against being purely co-working space providers and 72 per cent of our total seats today are with enterprises that have need for seats in excess of 100," Smartworks founders Neetish Sarda and Harsh Binani told Business Today. "These are MNCs or fast-growing mid-size to large-size companies spread across several locations. About 18 per cent are SMEs (any entity less than 30 employees and without a multicity presence) and 8-10 per cent are start-ups," they informed. Founded in April 2016, Smartworks is already present in Delhi, Gurugram, Noida, Kolkata, Bangalore, Mumbai, Pune and Chennai, and counts Tata Communications, Microsoft, Arcelor Mittal, Amazon, Carrier, Otis, Daikin, Lenovo, Bacardi, and OLX as its clients. Talking about the company's goals going forward, Binani said, "We are bullish on not only growing our footprint but also about growing our overall office experience component, including all the elements that make employees productive, be it health and wellness, creche facility or employee concierge service. So major growth drivers for us beyond the footprint will be value-added services." Most of their centres are already customised according to each client's requirement and have gym, creche, medical room and a health and wellness programme. The company has so far invested over $20 million (Over Rs 120 crore) for the over 1 million sq ft, Binani informed, and in next 12-16 months plans to get 2-2.5 million sq ft, which will also require a significant investment. "So far, we are completely self-funded but looking at the growth over the next couple of years, will be raising external funding," says Sarda. Though the latest facility has been priced at an average Rs 8,000 per seat per month but overall, the company's average price ranges between Rs 8,000-20,000 per seat per month.